We could not pass up the temptation when I saw this boy! His look is how we want to move forward with our type. Not only is Bear stunning but his disposition matches his beauty! He is such a sweetie-so affectionate and mellow. He prefers to hangout with us for attention. We hope to have an AKC/UKC Champion in our future with this boy. We are very excited for things to come with him. Bear is clear for HC, MDR1, CEA and PRA. Bear is a big boy at 55lbs but a gentle giant and loving soul! We are so excited to have Ari come to us-he is everything we hoped for. He is turning out to be quite the stocky little man! We think he will be about 17-18in and almost 40lbs. He is very sweet and loving and does not know a stranger! He is easy going and gets along well with everyone. He will do great things for our program! We look forward to showing him in a variety of venues. ​Ari is clear for HC, CEA, PRA,MDR1 and his hips and elbow prelims are "Good" (OFA). 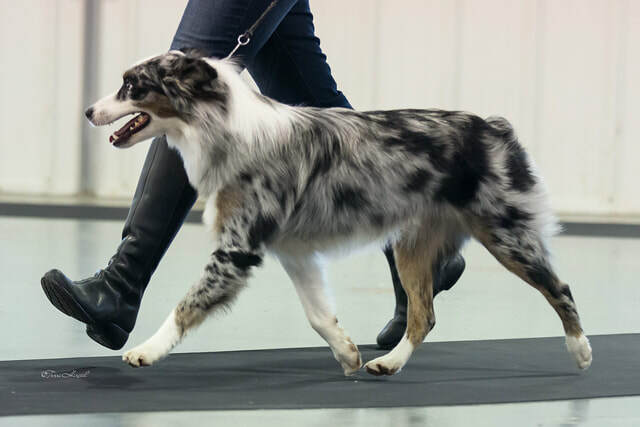 Clay Creek's Chip -Blue Merle Pic above and below. Chip is clear for HC, DM, CEA, MDR1 . 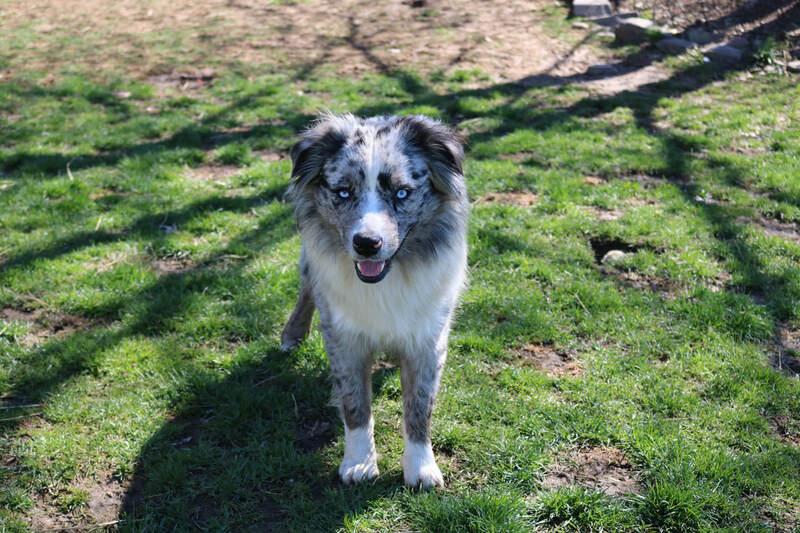 Logan came from a huge working cattle ranch and has a lot of working lines. He has the sweetest disposition and is extremely biddable. He has a lot of drive and loves to work and play. Logan is truly a versatile and wonderful dog! He resides with my training assistant Lindsey.